Cabin 44 - Queen bed, 2 twin beds, table w/chairs, A/C & Heat, mini-fridge and microwave oven, Picnic table and fire pit outside - $65 + tax (2 people). 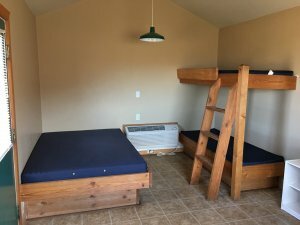 Cabin 46 - Full-size bed, a set of bunk beds, and a twin bed, table w/chairs, A/C & Heat, mini-fridge and microwave oven, Picnic table and fire pit outside - $65 + tax (2 people). 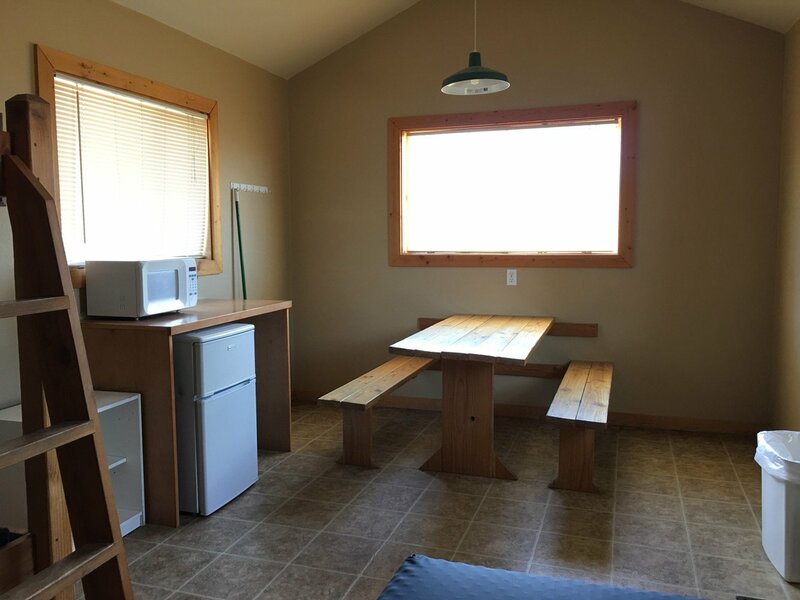 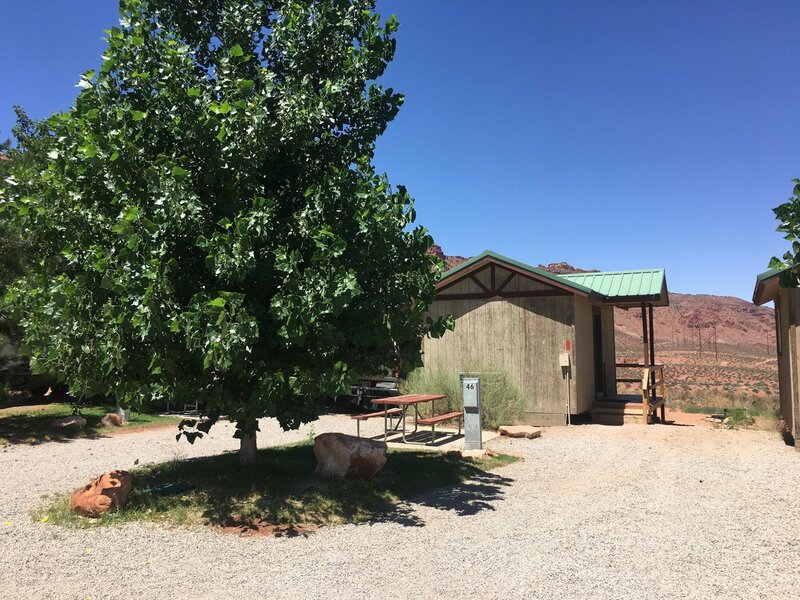 Cabin 48 - Full-size bed, a set of bunk beds, table w/chairs, mini-fridge and microwave oven, A/C & Heat, Picnic table and fire pit outside - $65 + tax (2 people). 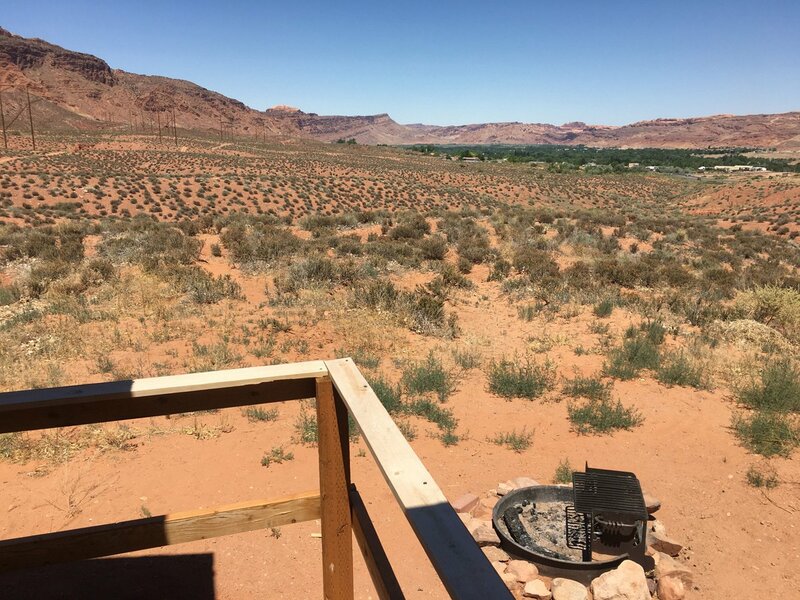 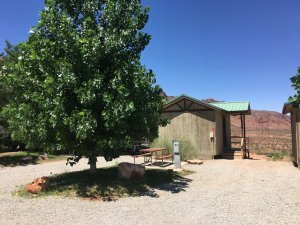 Cabin 50 - Queen bed, 2 sets of bunk beds, table w/chairs, A/C & Heat, mini-fridge and microwave oven, Picnic table and fire pit outside - $65 + tax (2 people). All cabins are provided with mattress covers, but no bedding or towels. 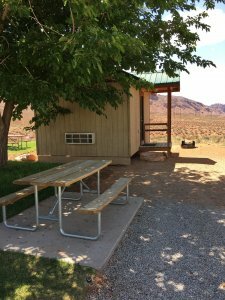 $5 extra charge each for more than two persons. 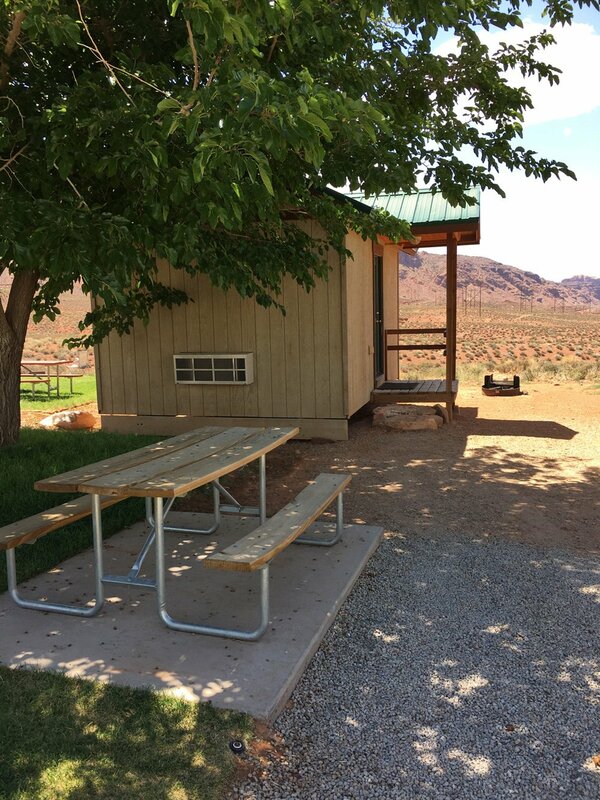 Pets permitted in designated cabins only with advance notice. $20 per pet cleaning fee per stay, 2 pet maximum. 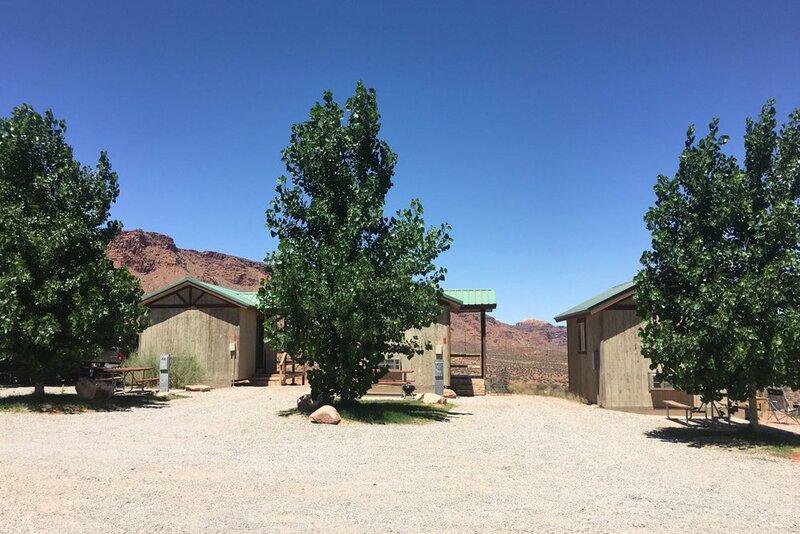 One week minimum cancellation notice for cabins.